1. This was a triple threat match, also involving Becky Lynch and Sasha Banks, to determine the inaugural champion. The Divas Championship, which Charlotte held going into the match, was retired in favor of the new WWE Women's Championship. The title became exclusive to the Raw brand following the 2016 WWE draft. WWE recognizes Charlotte's reign as lasting 114 days. 3. 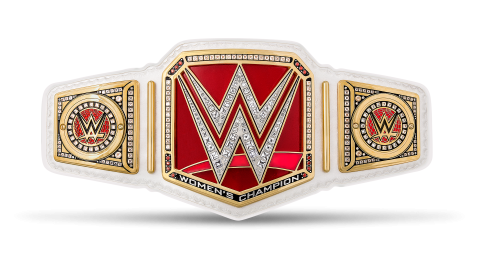 The title was renamed the Raw Women's Championship on September 5, 2016 following the creation of the SmackDown Women's Championship. WWE recognizes Charlotte's reign as lasting 44 days. 4. WWE recognizes Banks' reign as lasting 28 days. 5. This was a Hell in a Cell match. WWE recognizes Flair's reign as lasting 30 days. 6. This was a falls count anywhere match. 7. This was a 30-minute Iron Man match, in which Flair won 3–2 in sudden death overtime. WWE recognizes Flair's reign as lasting 58 days.